A student of science is always inquisitive. 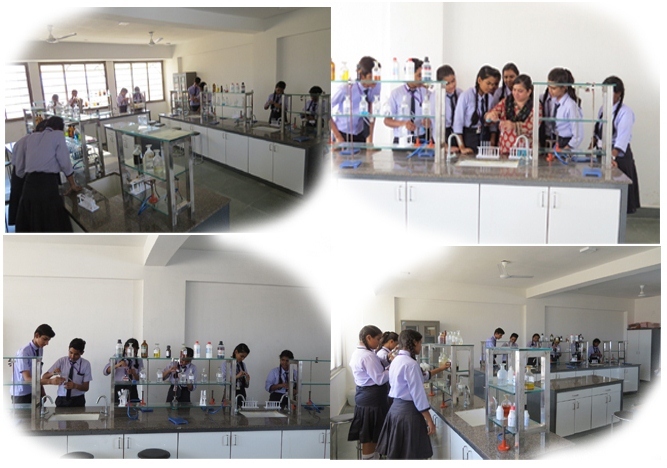 Labs centered science education is a way of supplementing and reinforcing the ideas students learn in the classroom. 1) Standard room size with capacity to accommodate a group of 25-30 students. 2) Regular water supply with sufficient number of basins. 3) Fire extinguisher facility for all types of fire. 4) Rooms with proper air ventilators & light. 5) Sufficient number of apparatus so that each student gets his/her independent set. 6) Gas pipe line with two burners per table. 7) Hemispherical Seating arrangement so that teacher can give proper attention to all practical works.